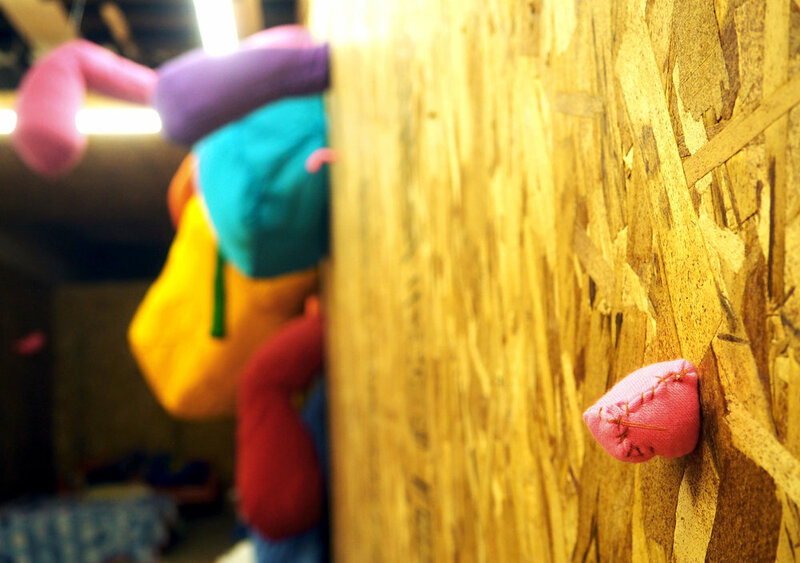 Loophole (detail), opening in Omaha Friday on Vinton Street. It's First Thursday in New Bohemia! If you're out and about, stop by CSPS Hall and experience these continuing exhibits: 'A Way Not To Be Broken,' collages and constructions by Cedar Rapids' Chris Carman and 'This Is Always Finished,' a collaborative installation by Iowa City artists David Dunlap and Howard Rogovin. Also continuing: 'Enough Is Enough: 22 Artists Respond to Gun Violence,' and 'Muro (Wall),' a video installation by Mexican painter and ceramics artist Bosco Sodi. Other First Thursday events take place at Black Earth Gallery, The iowa Ceramics Center and Glass Studio, Raygun, and other neighborhood venues.